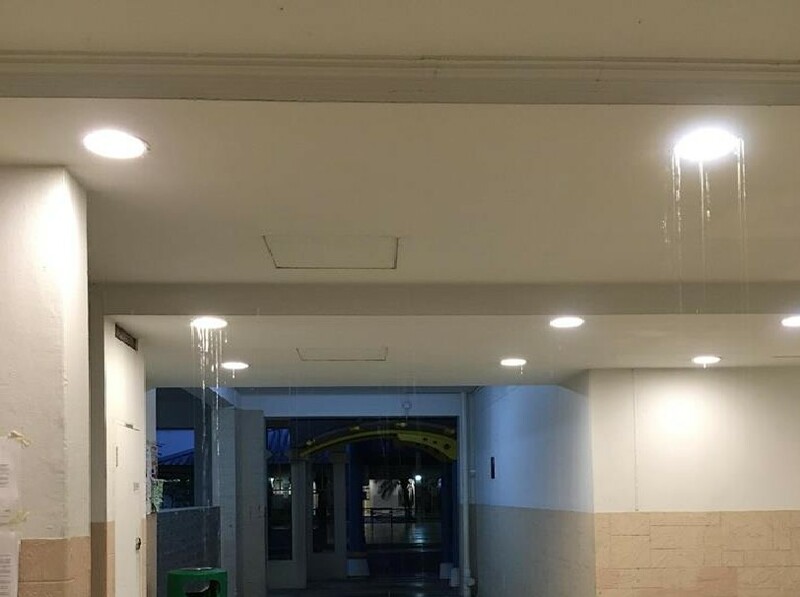 WOODLANDS HDB WATER LEAKING FROM LIGHTS! You are at:Home»Caught In The Act»WOODLANDS HDB WATER LEAKING FROM LIGHTS! Me walking-walking over to my mom’s place. Weather is good, no rain and cooling. Suddenly hear waterfall. Reached lift lobby then I actually see waterfall. Located at lift lobby of Blk 736 Woodlands Circle under Sembawang Town Council today at 7am. Next Article PRC DRIVER OVERSHOT BUS STOP. PASSENGER RAGE!! !